Thursday, November 28, 2013 at 1900hrs. Director and Auditor Reports are available online in the Member's Area of the website or and in person at The Club. Prior to the AGM from 1730hrs to 1830hrs. Robert Redford in All is Lost at the Screening Room. 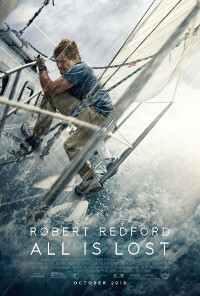 All is lost about a sailor trying to save his life and his boat after having been damaged by a floating container. Click below for a YouTube trailer. Brunch buffet begins at 10:30AM. Please be at the Screening Room for 1PM in time for the 1:20 showing. $28 including brunch and movie ticket. Please call or email Glenn Singleton to reserve. Limited tickets available, please reserve early. Come down to KYC to decorate the tree, see your friends and make your own fajitas! Send us your Photos - New and Old! We are in the process of organizing our photo collection. This includes photos from the 2013 season, photos from when the club was founded, and everything in between! All types of photos. Digital or paper format. We can scan older formats. We are very pleased to announce a new menu offered at KYC from Thursday-Saturday! This menu is geared toward sharing, and warming up after fall/winter activities. Thanks to Ian Nichols from Malivoire Wine for a fantastic evening of wine sampling. Stay tuned for another event featuring Malivoire. Live! At the KYC bar! This week watch the Leafs and Habs battle it out in Montreal. December 1st will soon be here. 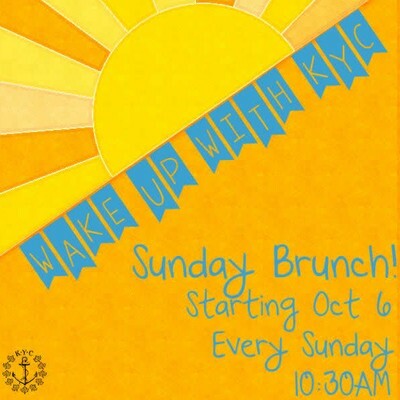 On this day, we hope you bring your kids down to KYC for some holiday cheer!! What? : A fun get together with sailing friends…enjoy some games, crafts and a visit from Santa!! Hot buttered rum cider to help bring a bit of jolly to the parents too! We are currently updating our trophy records into a digital format. We have identified some gaps in the information and are requesting help from the membership. We are looking for copies of the KYC Awards Night Program for the following years: 1997, 2003, 2004, 2005, 2006, 2007, 2010. KYC in cooperation with CORK, will be hosting the 29' er North American Championships just prior to the 29'er World Championships that will take place this summer . There will be clinics and seminars in the winter to facilitate this process. With the closing of the Club’s marine railway, it is the right time to stand back and look at the history of this example of 19th century technology and its use in the marine industry. Brunch Continues this Sunday at 10:30AM. West Marine Kingston is pleased to invite all Yacht Club Members to an exclusive evening at your local West Marine Location. Snacks, drinks (sorry non alcoholic) provided for KYC members. Kingston Yacht Club members will be able to enjoy commercial pricing (Port Supply Pricing) plus an additional discount for their personal purchases. These discounts will not apply to items already sale priced. Feel free to contact us with any questions, or for any information you may require. KYC members may also order items ahead of time to be picked up the evening of Dec.,6, 2013. We can also place orders that evening for pick up at a later date, special pricing will apply. Please click here for a coupon! KYC Office can print one off by request.